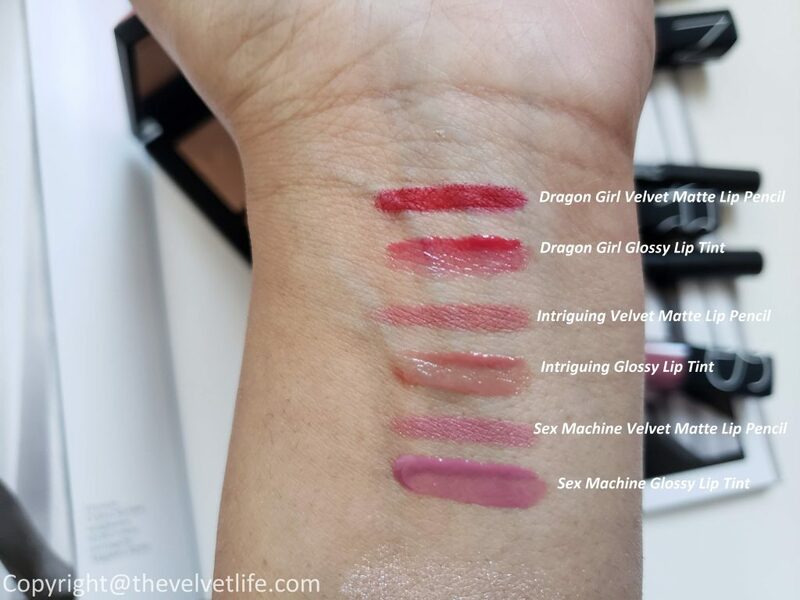 One of the best things of trying new products and writing about them is that as time passes, you naturally start looking at products with few of your top expectations from that product based on its category like face, lips, eyes. 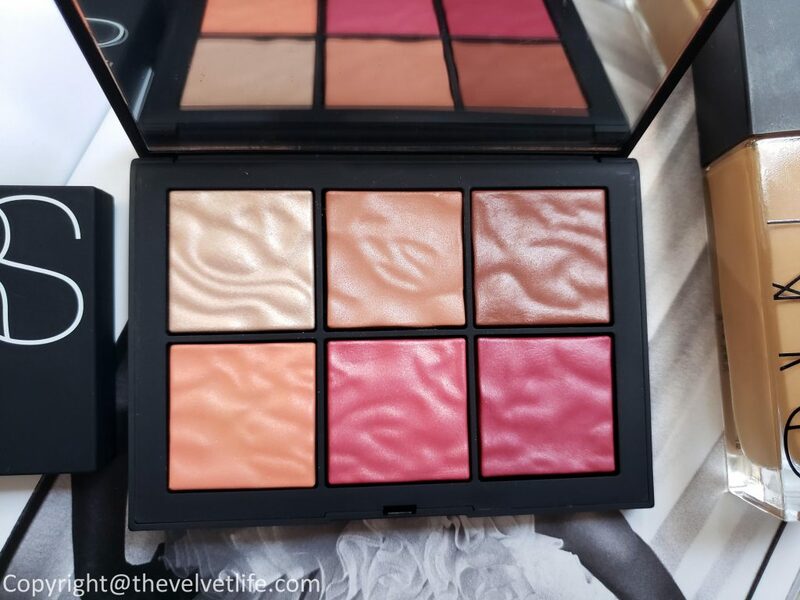 For me, base makeup is the most important step, similar to my other love of life, painting, where I have to create the perfect base on the canvas in order for the other products to sit and mix in well for the whole painting to look good and for that creation to stay longer. 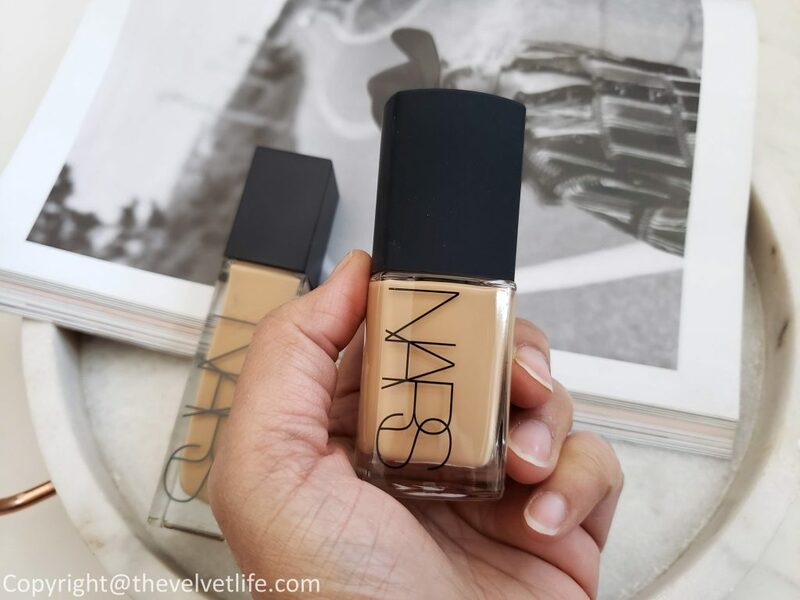 Similarly, for the makeup, the foundation is an important part of any makeup user as it can either make your day or break it. 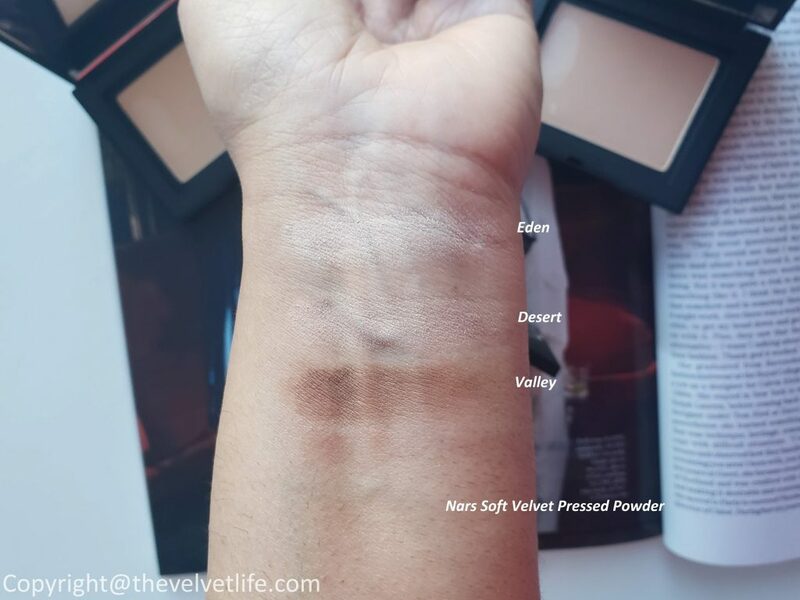 A foundation that looks cakey, emphasize your concerns on the face, not suitable to your needs of the finished look, does not feel comfortable – no one will like it. 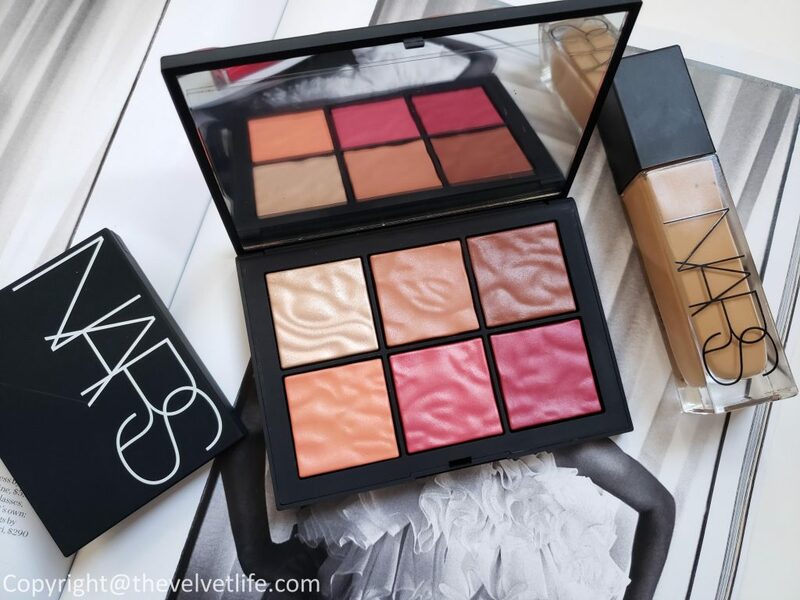 I have been using the Nars Sheer Glow Foundation for the last few days. 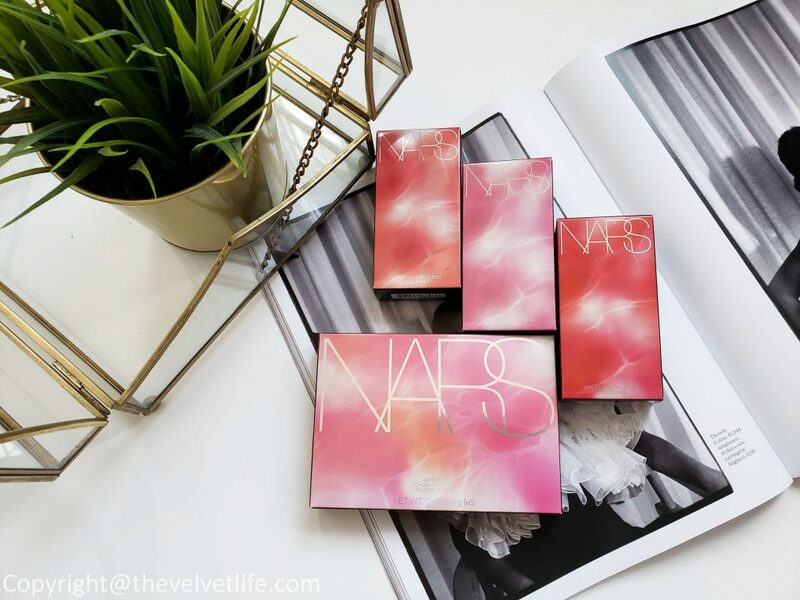 My expectation in regards to the finish of the foundation is always radiant and dewy, so from the name of the foundation – the word ‘glow’ did caught my eye the first. I was curious to try and see how the longevity, performance, and finish of it looks on me. 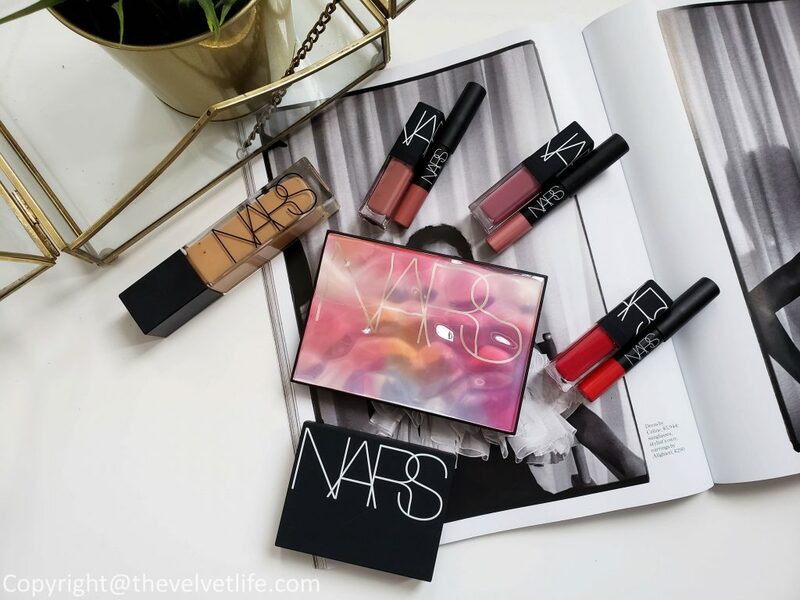 Nars Sheer Glow Foundation is described as a sheer, buildable foundation with a natural-looking finish. 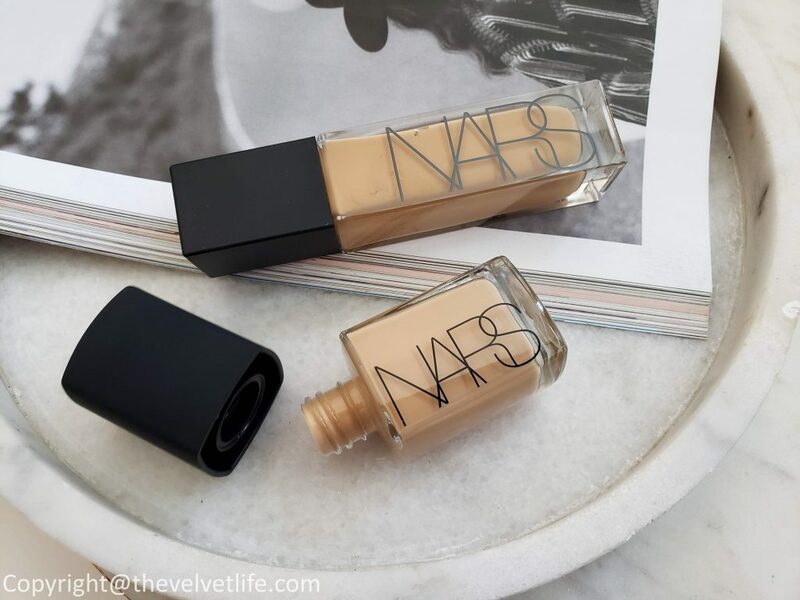 The foundation is very lightweight and glides on nicely onto the skin, blends easily and is buildable from sheer to medium coverage. The finish looks very natural and radiant without looking or feeling heavy or cakey. It did not emphasize my dry areas of the phase neither it made my oily areas oilier. The longevity is good, stayed on well for over 8 hours for which I tested. I did not do any touch-ups during the days I tested it. It did not emphasize the pores or my problem areas and acne. 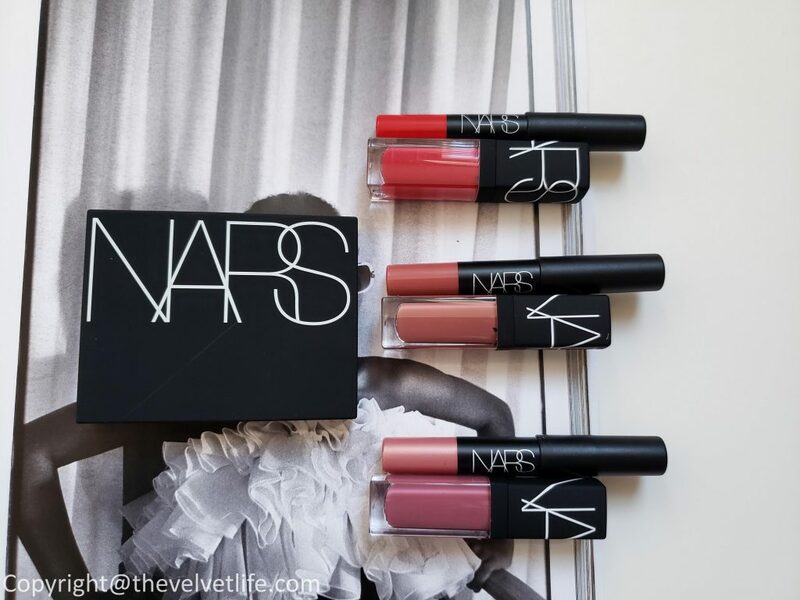 The good thing is that is available in a wide range – 40 shades for all skin types. Another thing I have noticed is that for me, it works great when my skin is behaving well or when I do not have many dark spots from previous pimples to conceal. 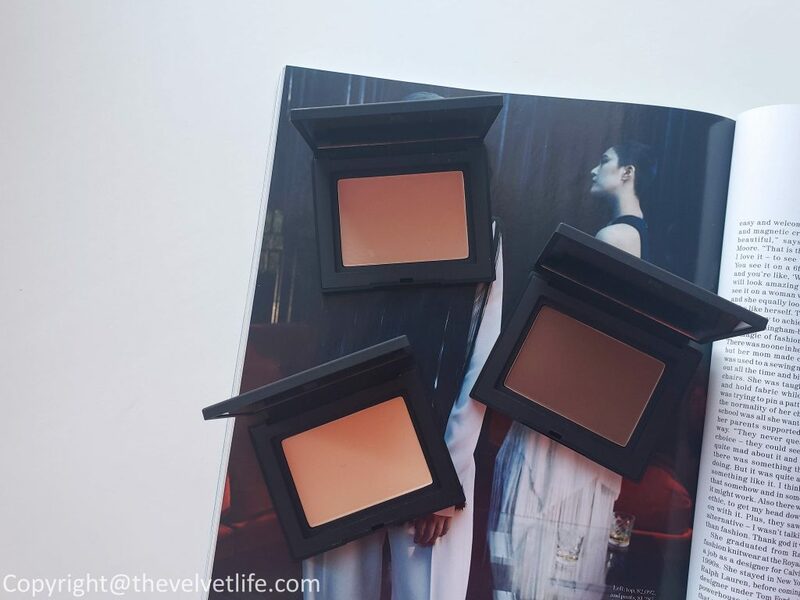 This would also be not a concern as a concealer can be used specifically for the problem areas. Overall, a nice foundation. 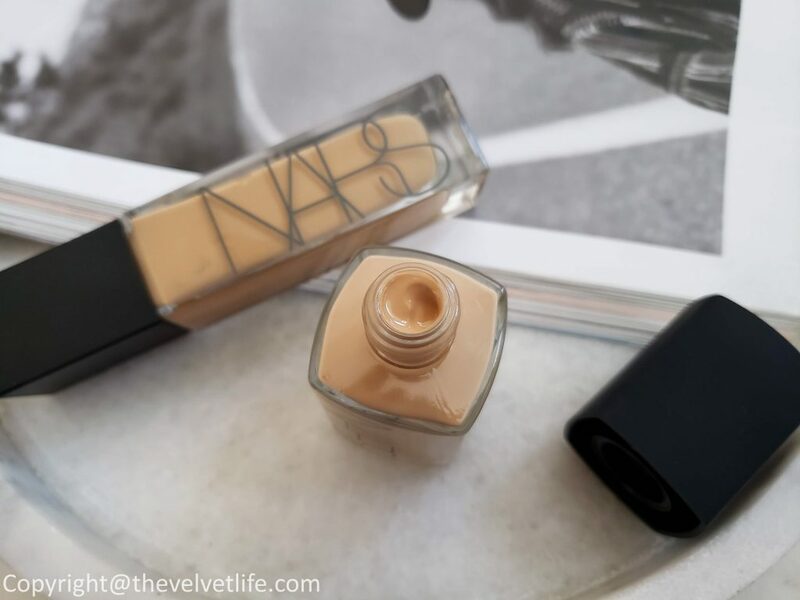 As mentioned here and on my Instagram a few times, Nars Natural Radiant Longwear Foundation has been on my top list for over a year and I still love it. 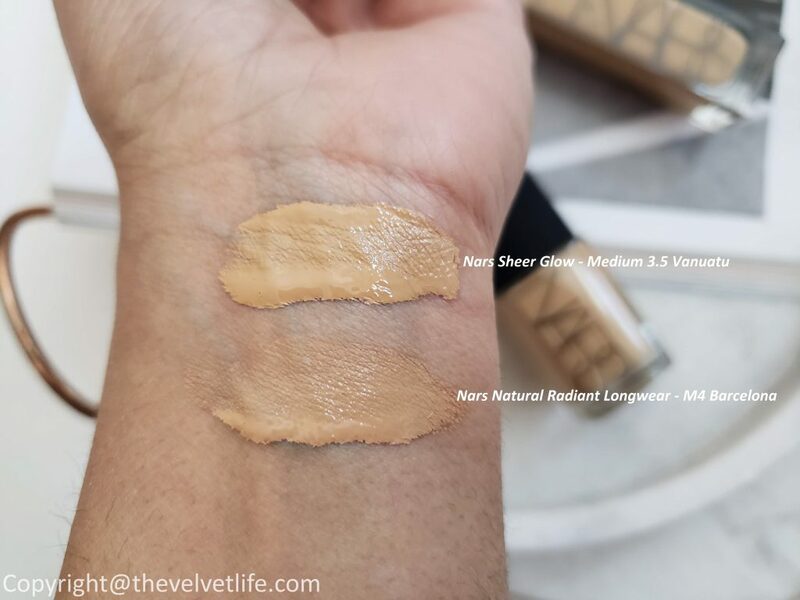 If you ask me to compare between the two, Nars Natural Radiant Longwear Foundation provides more coverage, looks more radiant, and longevity is amazing though it is not as lightweight as this sheer glow. 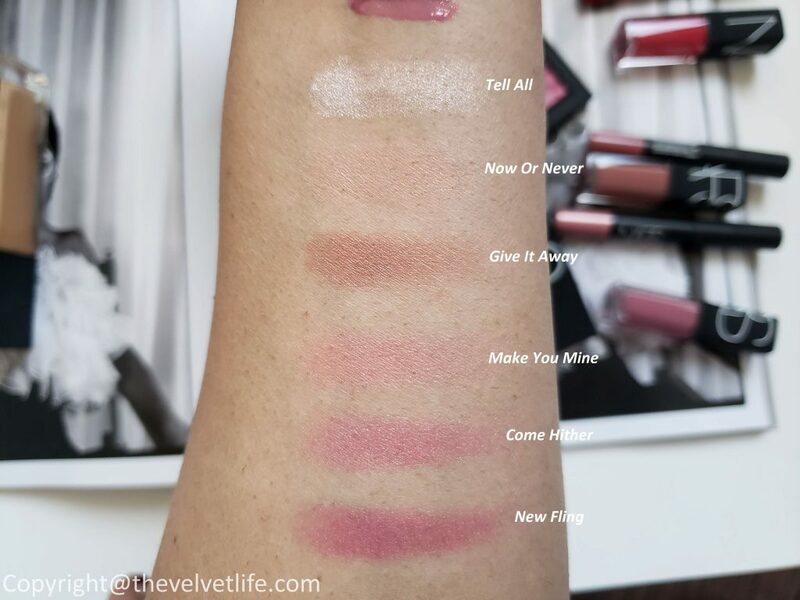 I have swatches both the foundations that match with my medium skin tone with golden undertones, Sheer Glow is a little less warmer than Radiant Longwear but I can make them both work for me (never stop experimenting and mixing products). 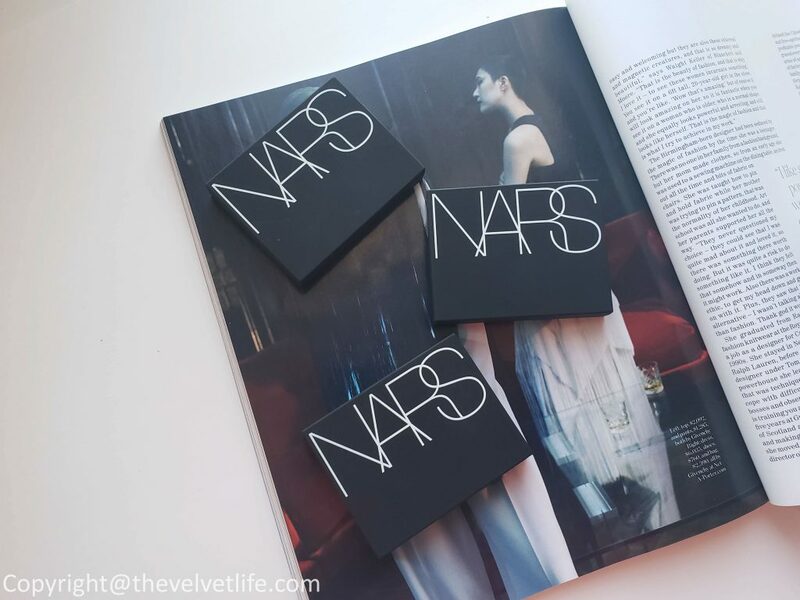 Nars Foundations are available at Sephora, Sephora Canada, Hudson’s Bay, Lookfantastic, Nordstrom, Saks, and Neiman Marcus.